Sources assigned at FBIHQ confirm that the FBI is toiling with significant changes to its promotion system. We were given limited access to review a document that confirmed what our Sources said. The promotion system overhaul is advertised as a ten-month project, and the changes would affect GS-14 and GS-15 positions mostly. 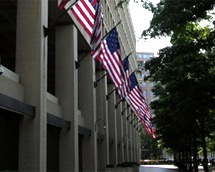 The new system will also apply to personnel assigned overseas in FBI Legal Attache offices. FBIHQ solicited comments from limited numbers of managers trying to tailor the Legal Attache aspect of the process. It's clear the launch of a new system is not imminent as I am still getting plenty of requests from agents asking for advice writing their applications for jobs posted under the current system. Unfortunately, there is no indication from my sources that the widespread dysfunction in the Senior Executive Service (SES) promotion system will be addressed anytime soon. Speaking about this planned system re-tooling, one FBI employee summed up sentiments I have heard dozens of employees convey: "FBIHQ will never construct an honest promotion system because FBI executives do not want one"! What FBI executives have now is a system that they can manipulate whenever they desire. It allows for backroom deals where executives promote chosen minions in return for the minion's loyalty and devotion to the executives that helped the minion. Maintaining a reasonable amount of secrecy about chronic management negligence also comes along with their deal. Executives in the Field and at FBIHQ need to be able to deliver reliably for each other when asked to help place a chosen favorite candidate into a management job. Especially when that person is not competitive with other candidates applying. If the executive can deliver on the request, they can obtain a coveted, "chit" from the other executive. That chit can be called in by the obliging executive when they desire a similar favor or their own promotion. You can't carry the water for your FBI friend or boss if you cannot control the promotion process when needed. Of course, the chit culture and the minion promotion machine are producing our most inadequate executives, and there are a lot of them. The system is being manipulated so often by executives that it is beginning to implode as greater numbers of incompetent executives rise in the management ranks and then corruptly engineer the promotion of the even more incompetent. The troops are furious and frustrated over this situation. The process that will emerge from the reported re-tooling is doomed to quick failure if it is just business as usual, were FBI executives manipulate a new process where they are able to obtain the same result they enjoy now. Proclaim loudly that the current system is corrupt! Open every formal meeting about the new system by stating this proclamation. Admit that FBI executives interfere in the current system whenever they wish, manipulating promotions through a variety of backdoors. Do not just rearrange the chairs on the deck of the Titanic with this re-tooling. Be relentless, construct a professional, transparent system. There must be audited standards for every aspect of the new process. Minion promotion and the chit culture must be eradicated at all costs. Vigilantly guard against them being secretly engineered into the new system. The troops are battle fatigued. The bureaucracy has bombarded them with dozens of new systems, each with a mandatory training regime and frustrating learning curve. Many of these systems seem to have been given little thought before being hoisted on the employees. The FBI has an excellent opportunity to launch a new promotion system as a program that is motivating and uplifting to the troops. Don't squander this chance, think long and hard about implementation. Admit that the FBI SES promotion system is an overwhelming failure and also requires immediate overhaul. This is of supreme strategic importance for the survival of the FBI. Do not allow the top rank of FBI officials to convince anyone otherwise. Audit current FBI SES employee's GS-14 and GS-15 promotion packages. Trace accomplishments claimed by SES employees into an FBI file. Refer all cases of extreme, "exaggeration" (there will be plenty) to the Office of Professional Responsibility. Do this before the new system is implemented. Establish a "Brick Agent Career Board", whose members are personally selected by the Director. This board should exclusively recommend candidates to the Director for all SAC and EAD positions. The Brick Agent Career Board should have a minimum of fifty, top-performing GS-13 FBI agents, measured solely by sustained, career-long accomplishments as a Case Agent. Brick Agent Career Board members must agree to forego promotion for five years, except for promotions to Legats or as HRT Operators. The Brick Agent Career Board should conduct business via recorded Tele-Conference viewable by all FBI employees. Highly successful brick agents know exactly the type of leader needed to establish a productive environment allowing employees to be successful. Conversely, they can immediately recognize traits fatal to healthy leadership. The final selction of those candidates recommended by this Board will rest with the Director. Parallel to the promotion system, integrate an innovative, transparent process for target recruitment of successful brick agents as managers. Too many habitual underperforming agents are entering the current system as management applicants. If that continues in the new system, it will fail. Target recruiting of successful street agents is crucial to success. Make this effort an essential aspect of the new promotion system. Businesses and human resource professionals constantly target recruit their talent. The FBI needs to implement this proven, common sense tactic. Prohibit, "bait and switch" job Postings. Currently, field office executives can orchestrate placement of a favored FBIHQ Supervisor into a desired Field supervisory position, whether or not the position is available. Field executives manipulate any available job posting in their division, rigging their local career board so that the HQ Supervisor gets that open job. Then Field Division management, "laterally" moves the FBIHQ supervisor over from the awarded job to their desired Field Supervisory position. Usually, this is done because the field office executives want to curry favor with the FBIHQ executives who asked them to help the favored employee. Direct Placements are often riddled with corruption. For every Direct Placement publish a complete, transparent accounting. Desirable positions are being created by high-level FBI executives and then given away as rewards to favorite employees. Direct Placements have resulted in jobs being awarded to employees who do not have the minimum qualification for a position but who are obtaining the position over multiple other highly qualified employees. Many Direct Placements are due to nothing more than incestuous connections. Stop using the Inspection Division as a catapult to executive management. A corrupt promotion machine is churning there. Our worst managers are being born from it. In one case, DOJ is being sued primarily due to alleged actions by executives whom all have Inspection staff assignments as their common denominator. At the closing of the posting period for a job, publish internally to FBI employees, the names and the application package of every applicant for all supervisory and executive positions. Publically convene Field career boards, allowing Field employees to observe their actions. Attendance by observers is permitted during FBIHQ career boards, so this is just extending to Field Divisions what has been allowed at FBIHQ. At the start of the public career board meeting, mandate that board members declare if they were lobbied about candidates; declare professional/personal connections to candidates and disclose their own current applications for promotion. Continue electronically recording the board's deliberations but make the recording available internally to employees online. Disclose through internal publication the initial grades local career board members give each applicant's examples; publish a narrative revealing the method decided upon by the career board for applying rankings to examples; publish the career board rationale for establishing the, "cut-line"; publish the candidate ranking resulting from the Local Career Board discussion/coalescing phase; and publish the career board final rankings as forwarded to the Division Head. Publish the Division Head's re-rankings if any.